This is definitely a tip to tip type of road trip. You can either start in Seattle and finish in San Diego or go in reverse, only dependent on your preference. 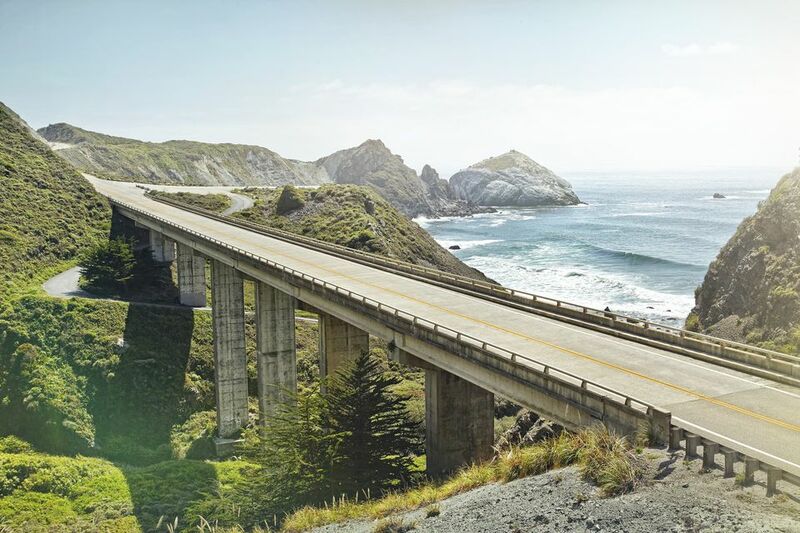 There are several different routes you can take but the bulk of your journey will exist on some legendary roads such as US Route 101, known as the 101 and different portions of the Pacific Coast Highway such as Highway 1 in California. In our case, let’s start South in San Diego and make our way north up into Seattle to finish out the journey. There are several great RV parks around and in San Diego but one of the best all-around parks is Campland on the Bay. There are several full utility sites and even “super sites,” which are private and come with several upgraded amenities such as a full-size washer and dryer and private whirlpool spa. Regardless of if you’re staying in a super site or not there plenty of features and amenities at Campland on the Bay including a dog park, game room, fitness center, laundry and a marina available for use. A well rounded RV park to kick off or end your adventure. San Diego features many kid friendly parks and activities such as Sea World, Legoland, and the famous San Diego Zoo. If you want to explore the city’s views and scenery try Balboa Park, Torrey Pines State Reserve or La Jolla Cove. Whether you want to hike around the coast, catch a ballgame or get some fabulous food, San Diego has it. Pit Stop: Los Angeles for some classic tourism. Big Sur Campground is only a few miles from the magnificent coastline that makes Big Sur so alluring. The RV grounds are nestled right in a California Redwood Forest and sites come with electrical and water utility hookups with a dump station located within the park. The campground also comes with bathhouses, laundry facilities, a camp store, playground and more. Big Sur is all about taking in some majestic views. You can drive along the Pacific Coast Highway for some of these views but if you want to explore nearby parks you have your options of Andrew Molera State Park, Pfeiffer State Park, and Burns State Park. You can also try venturing down to the actual coast to spot marine life such as elephant seals and whales. If the weather is a bad venture into nearby Monterey for the Monterey Aquarium. San Francisco RV Resort is technically found in Pacifica but it’s only a short distance to travel into the heart of San Francisco. This park is all about some great scenery as it is located right on a bluff overlooking the Pacific Ocean for some great sunsets, wildlife viewing, and even surfing. The park itself comes with 150 great full utility hookup sites to go along with the views. Other amenities and features at San Francisco RV Resort include restrooms and showers, picnic areas, playground, laundry facilities, a clubhouse and more. Near to the RV park, you’ll find several attractions such as the Golden Gate Bridge, Half Moon Bay and Alcatraz and more. If you want to journey into the heart of San Francisco you’ll have plenty of options of things to do such as Fisherman’s Wharf, the Exploratorium and the zigging and zagging of Lombard St. If you’re a little overwhelmed with choices, you can try taking a guided city tour on foot, in a mini cooper and several other ways. Remember to take a minute just to relax by the Bay. Pit Stop: Avenue of the Giants in Humboldt Redwoods State Park. Redwoods RV Resorts is one of the best RV parks in all California due not only to its amenities and features but also to an approximation of the gorgeous California Redwoods of Northern California. As for those amenities and features, Redwoods RV Resort is full of updated features all over including their full-service sites, bathroom, and laundry facilities. You also have a brand new playground, pet washing area and dog park and campground games such as horseshoes. You won’t be in Crescent City so much as you will be in the surrounding forests of the Redwood National and State Park. Journey through this incredible land by foot or vehicle to get a glimpse at some of the largest living organisms on Earth. Popular spots in Redwood National and State Park include Howland Hill Road, Crescent Beach Overlook, and the Newton B. Drury Scenic Parkway. If you plan on staying a while you can also venture into Klamath National Forest. Port Orford is a sleepy southern Oregon town known for its artistry where the mountains and forests meet up with the vast Pacific Ocean. Your best place to stay is at the eponymous Port Orford RV Village. This lovely RV park offers full utility hookups along with cable TV and wireless internet access right at your campsite. You also get washrooms and showers, laundry facilities, a rec room with exercise and kitchen equipment, horseshoes, basketball and more. The number one destination should be the Cape Blanco Lighthouse, just make your way over to the beautiful Cape Blanco State Park for some great hiking and sightseeing and of course to take a view of the lighthouse itself. The Port Orford area is full of several great parks like Humbug Mountain State Park and Port Orford Heads State Park. The area is also known for being quite artistic to make sure to check out some of the great art scenes at the Hawthorne Gallery and other local art hot spots. Pit Stop: Portland, Oregon to help keep things weird. What better way to explore the United States than to be near some of the most famous spots of Lewis and Clark’s western expedition like Cannon Beach. Cannon Beach RV Resort will be a good place to rest and recharge for the final stops of your adventure with their gorgeous park situated right on the beach. 100 paved full hookup sites give you the basics along with Cannon Beach’s complimentary cable and wireless internet. Cannon Beach RV Resort also houses laundry and bath facilities, indoor pool and spa, game room, gift shop, camp store and more. Cannon Beach is all about the coastline and its significance. Your ​first stop should be at Ecola State Park to explore the beaches all the way up to Seaside Oregon. You can set your sights Tillamook Head, the exact spot where remarked that the view was, “The grandest and most pleasing prospects which my eyes ever surveyed.” Other great areas of Cannon Beach to explore can be found at Haystack Rock, Hug Point State Park, and Oswald West State Park. If you’re looking for something different, try gazing at the artwork at Icefire Glassworks or sampling some spirits at the Cannon Beach Distillery. The last (or first) stop on your Pacific coast road trip takes you through the Seattle area and the surrounding bounty of outdoors hot spots. We’ve provided you with two choices for RV parks. Elwha Dam RV Park lies west of Seattle and if the perfect spot to start on exploring one of the most biodiverse regions in the world at Olympic National Park. Mounthaven Resort is found east of Seattle and is a great starting spot if you want to focus on Mount Rainier National Park. Both RV parks are packed with great features and amenities for your Seattle adventures. Then there is Seattle, Washington itself, a great destination for outdoor and traveling minds. There is plenty to do in Seattle. Favorite attractions include the Space Needle, Pike Place Market, the Museum of Flight, and the amazing Chihuly Garden and Glass. If you’d rather just hang out why not grab a cup of coffee and relax on the Puget Sound. Any time of year is fantastic for Southern California though there will be more haphazard weather conditions the longer you head north up the coast. June and July are great months to take on this trip though you can go in late spring or early fall if you want to avoid some crowds.